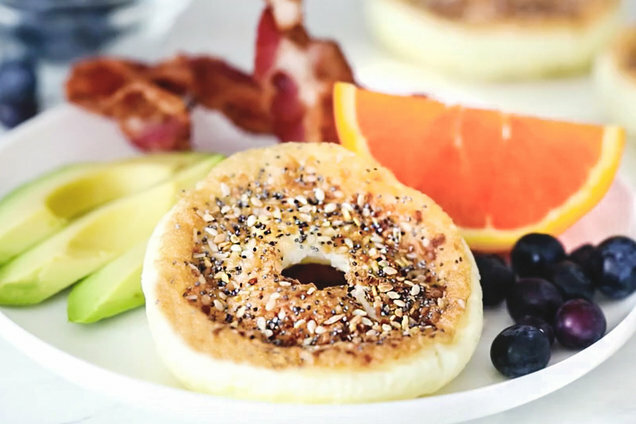 Everything bagel seasoning is INCREDIBLE... We put that stuff on everything! This recipe is easy to make, and it's practically pure protein. Dig in! Preheat oven to 350 degrees. 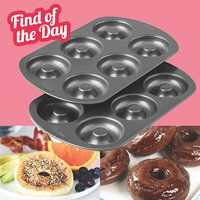 Spray a 6-cavity standard donut pan with nonstick spray. Place cream cheese in a large bowl. Stir until smooth. Add egg, and whisk until uniform. Evenly distribute mixture into the rings of the donut pan, about 1/4 cup each. 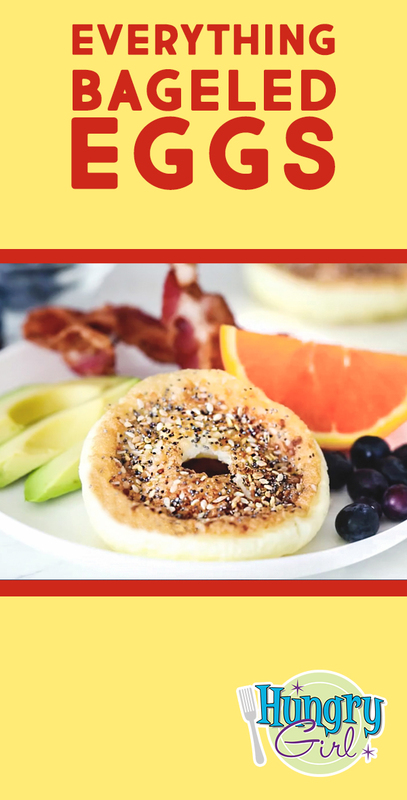 Sprinkle with everything bagel seasoning. Bake until firm and cooked through, about 20 minutes. These pans aren't just for baking donuts -- they're essential for making ring-shaped treats of all kinds, like today’s Everything Bageled Eggs! We love any opportunity to make our food cuter, and this is one of the easiest ways to do it. Bonus: You get TWO pans for under $15. Keep both if you like, or gift one to a friend… Just make sure you send them some Hungry Girl recipes to go with it. Hungry for More Breakfast Recipes with 3 Ingredients or Less? As an Amazon Associate, we may receive compensation from some of these links. Prices and availability are accurate at time of publication and are subject to change. Happy National Peanut Butter and Jelly Day, April 2nd! Time for a round of PB&J French Toast Nuggets, dontcha think? Tell everyone about this super-simple recipe! Click "Send to a Friend" now.